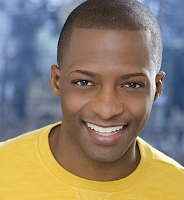 The magic of 42nd Street comes to Boston's MetroWest suburbs as Franklin Performing Arts Company (FPAC) presents Broadway In Franklin, featuring guest artists Tyrick Wiltez Jones and Nikki Snelson in a cabaret-style revue of show-stopping numbers from the Great White Way. The Broadway stars will headline a special performance at 3 p.m. this Sunday, March 25, at THE BLACK BOX, FPAC’s theater, music, and event venue, located at 15 West Central Street in downtown Franklin. The show also features appearances by musical theater students from the Franklin School for the Performing Arts. Nikki Snelson originated the role of Brooke Wyndham in the 2007 original Broadway production of Legally Blonde: The Musical. Other Broadway credits include Annie Get Your Gun (starring opposite Bernadette Peters) and Sweet Charity. National tours include Disney’s Beauty and the Beast, Hello Dolly (starring Carol Channing), Showboat and tick, tick…BOOM! Tyrick Wiltez Jones was recently seen as Gary in the world-premiere Broadway preview of Johnny Manhattan. Additional Broadway credits include Finian’s Rainbow and Hairspray. National tours include Miss Saigon, Seussical, Fosse and Showboat. Tickets are $25 (adults) and $22 (students/seniors). Proceeds from Broadway In Franklin support Electric Youth’s 2018 European summer concert tour and mission to give back through musical performance, education and ambassadorship. For more information or to purchase tickets, call (508) 528-3370 or visit www.THEBLACKBOXonline.com.